Hooray! We're back for another week of Life Created Tuesdays! Each and every week, I'm so excited to see you join us in sharing a bit of your life created. Whether it be a recipe, tutorial, life lesson, blog tip, or roundup galore, we want you to share with us. Come here, or It's A Vol, every Monday at 9:00 p.m. EST to link your latest posts with the Life Created link party. 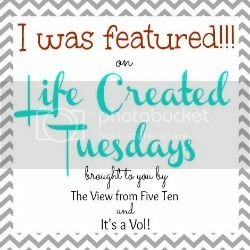 Let's kick off week THIRTY of Life Created Tuesdays with this week's features! 1. Amy from Delineate Your Dwelling shared this adorable Key Shadowbox Tutorial! 2. 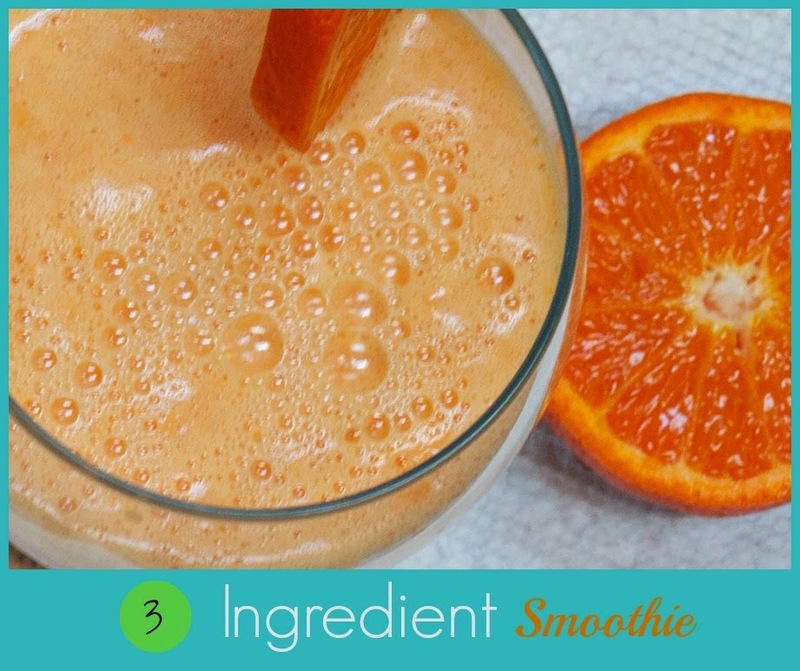 Aishwarya from A Kaleidoscopic Dream shared this delicious Orange Smoothie! 3. 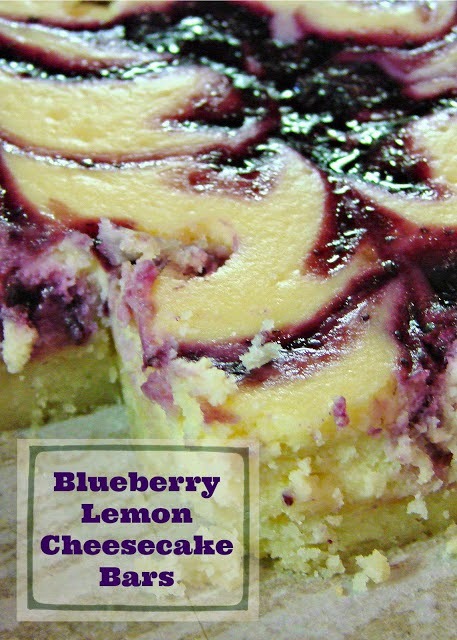 Jenn from Jenn's Random Scraps shared these tempting Blueberry Lemon Cheesecake Bars! 4. 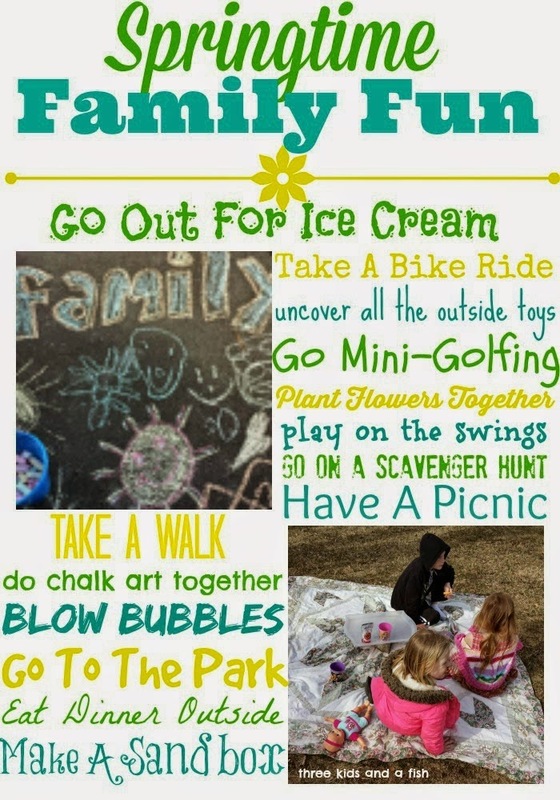 Cathy from Three Kids and a Fish shared this adorable Springtime Family Fun Bucket List!